Differences between the 1979 novel and the 1983 David Cronenberg-directed film. The almost insane sexiness of Christopher Walken and his amazing navy-colored pea coat. The A-list cast and incredible outdoor locations. 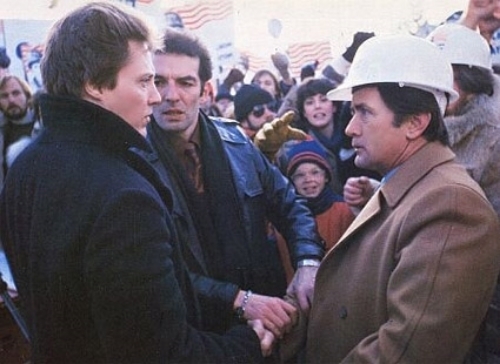 Whether or not King was foreshadowing the future with the character of Greg Stillson. Why on earth was Johnny waiting for his wedding night?